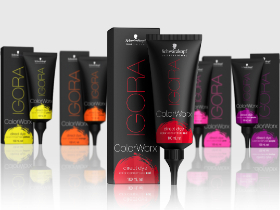 Since its creation in 1960, the coloration brand IGORA from Schwarzkopf Professional has never stopped innovating to answer the needs of hairdressers. 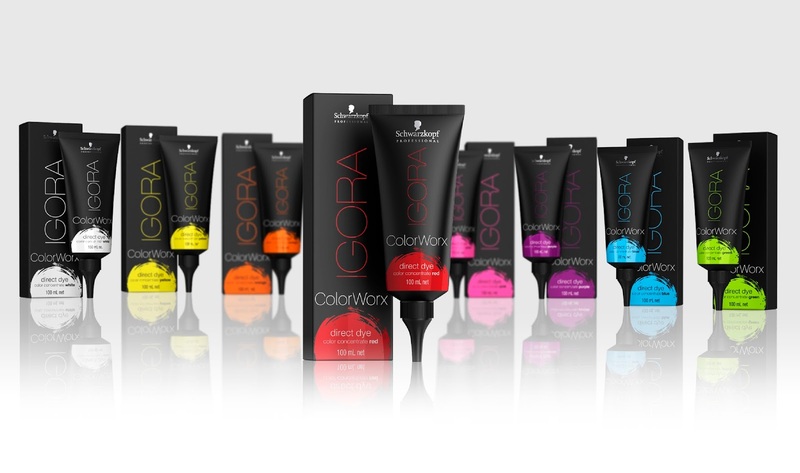 Offering a wide range of shades for every type of hair while exploring new trends, the brand has recently launched Igora Colorworx, a new range for bolder colors and improved service. 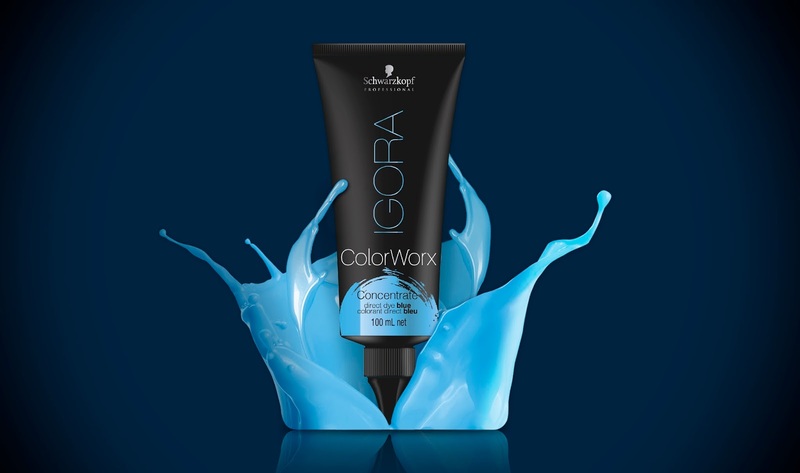 Schwarzkopf Professional has created a new range of semi-permanent coloration with bold colors offering an easy, simple and super fun service for their hairdressers. To avoid using foil, the engineers have developed a formula with an additive preventing coloration to flow during the manipulation. 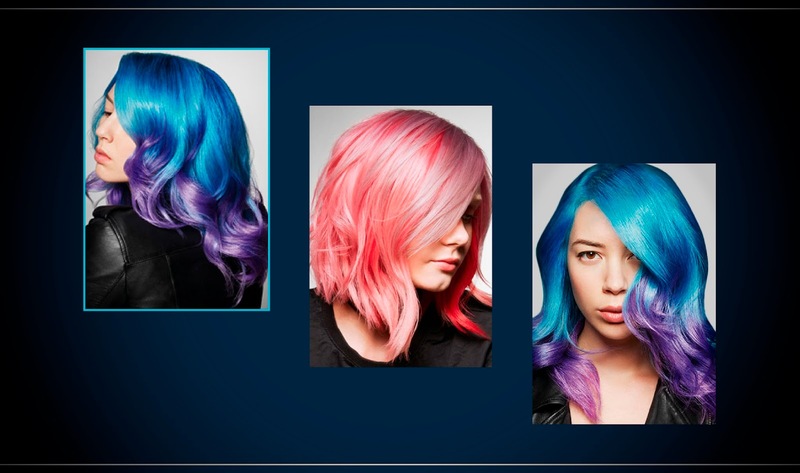 This range offers a new way of expression for professionals, allowing them to mix, blend and boost colors. Giving free rein to the professional’s imagination, the flashy and pop colors appear like a work of art on the consumers’ hair. To tackle those objectives, Crépuscule has created a statutory yet creative identity. Conveying the brand expertise through a puristic style and a major black color coding, the hairdresser’s creativity is being expressed by a flashy and undone color stroke, giving the expert the freedom to create. 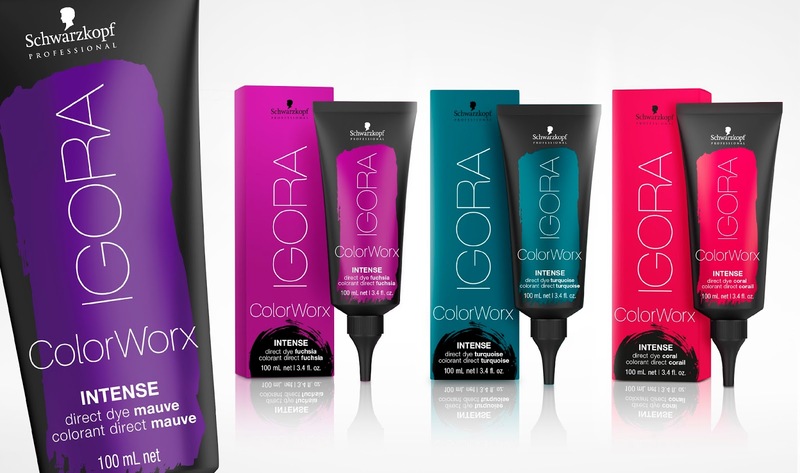 4 new eccentric shades were added to Colorworx portfolio below the name “Intense”, to provide with even more vibrancy and shine. Crépuscule’s challenge was to keep the range identity while allowing the immediate recognition of those 4 new shades. Building on the color stroke, the iconic symbol of the range, the design is developed around a more bold and big stroke, to reflect the audacity of the range towards crazy colors.